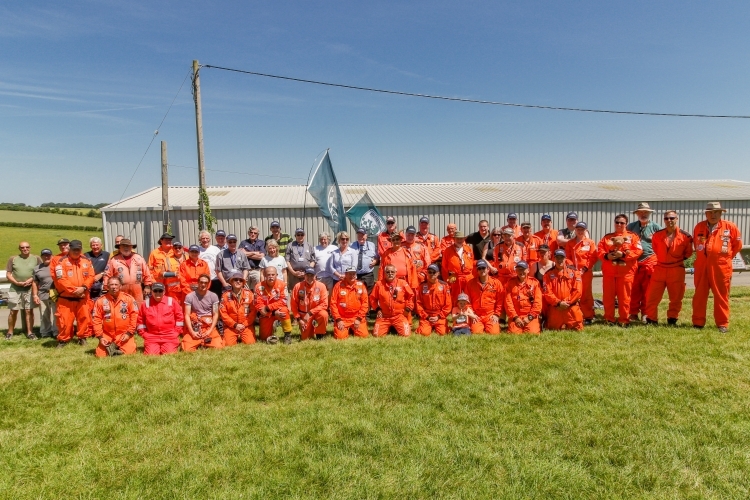 The Gurston Hillclimb Marshalling Team performs a vital role in ensuring that our events run safely and smoothly. Marshals liaise with Professionals who include Senior Officials, Timekeepers and Results Teams, Scrutineers, Doctors and Rescue Teams. Each year, the Marshals nominate one of the team as “Marshal of the Year” by secret ballot. Votes for each contender reflect such attributes as team spirit, commitment and outstanding marshalling. The winner is rewarded by the presentation of a Trophy at the Annual Dinner in November. The “Marshals of the Year” for 2015 are Roger & Carol Allnutt. Congratulations to both! 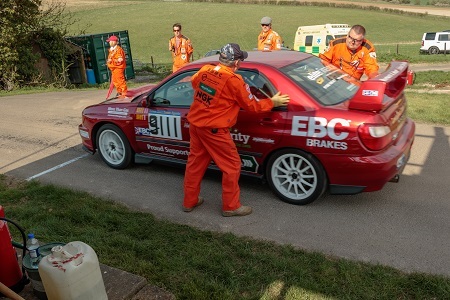 Whilst officiating at MSA approved events, all signed-on marshals and officials are protected by Insurance. For details of the cover, please click here. or officials who suffer emotional trauma as a result of being involved in a Motor Racing accident.For details of this free yet professional service, please click here. Contact any of our Marshals, or phone our Chief Marshal Alan Osgood on 07754 514764. We would like you to join our Team ! In order to acquire one of the highly sought-after GIT badges, it is first necessary to be elected as a member of the Gurston Incident Team. Membership cannot be purchased; it is awarded to new GITS after agreement by a conclave of existing GIT members, and membership will be marked by the allocation of a GIT name, and the awarding of a GIT badge. New members have no say in what their GIT name will be, as this name is also decided by the conclave. There are two categories of membership, Proper GITS and Honorary GITS. Once elected, membership is for life, and is free of charge. It is expected that members will wear their GIT badge at all events where they are mingling with other marshals, and will seek to enhance the reputation of Gurston and its famous GITS.